One of the first coins minted in Europe. 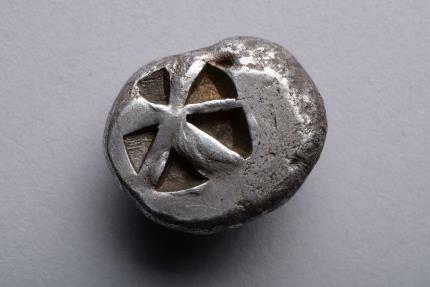 A high relief, archaic silver stater from the island of Aegina, circa 550 - 525 BC. The obverse with a leatherback turtle, it's shield-shaped shell with a raised collar and a row of five pellets. The reverse with an incuse square divided into five compartments. It was not the great cities of Athens, Sparta or Corinth that produced the first coinage of the western world, but a tiny, rocky island in the Aegean Sea. Aegina bred men who looked beyond their shores for wealth and status, a famed society of merchants, seafarers and explorers that arguably gave birth to this most brilliant of human inventions. 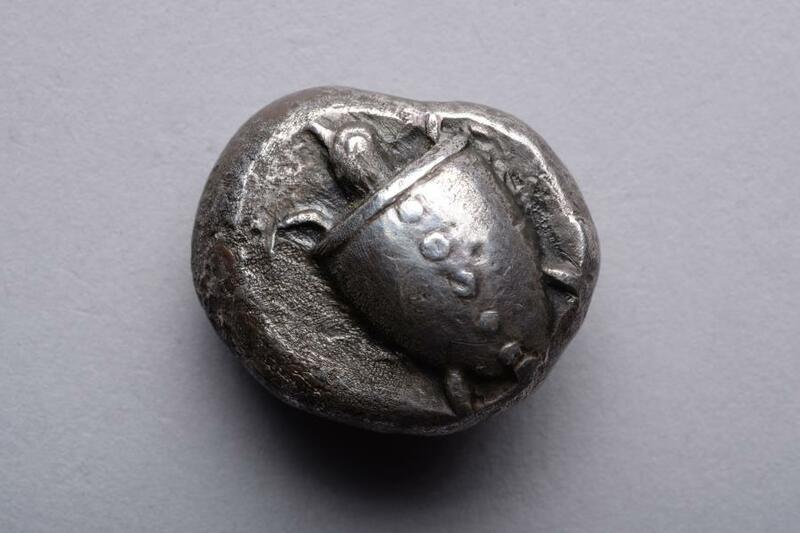 Struck with the image of a leatherback turtle, which roamed across the sea just as the Aeginetan ships did, these pebble-like coins were carried to the farthest edges of the Mediterranean, having been found as far afield as Egypt and the Levant.